The service will cost $70 a month and include unlimited downloads and a ‘satisfaction guarantee’ that will allow customers to cancel their contract without any fees if they get download speeds below 50 megabits per second (Mbps). That price point compares favourably with Optus' NBN products: For $70 a month the telco offers an NBN service with unlimited downloads and typical evening speeds of 40Mbps. The telco revealed its plan to deliver 1200 5G-capable sites by March 2020 across suburbs in the ACT, Victoria, New South Wales, Queensland, South Australia and Western Australia. Optus said it is planning an ‘expressions of interest’ process for customers: The telco has set up a web page for people to register their interest in the new Optus 5G Home Broadband offering. Devices are expected to be delivered from mid-year, though some customers may get their hands on them earlier. “We currently have three live in-network 5G cells, but we will be turbo-charging our roll-out over the next 12 months to deliver 5G cells on the Optus Mobile Network across Australia with the goal of putting this exciting technology into the hands of our customers as soon as possible,” CEO Allen Lew said in a statement. The telco has named the 60 suburbs that will receive coverage from its first 50 5G sites (see list at end; the company cautioned that some suburbs may not receive complete 5G coverage, initially at least). The first services are expected to be switched on in Q2 2019. There are two live 5G cells in Canberra and one in Sydney. The other 47 in the first wave are expected to be live by March this year. Earlier this month Optus revealed that it had successfully made a 5G data call on 60MHz of its 3.5GHz spectrum. 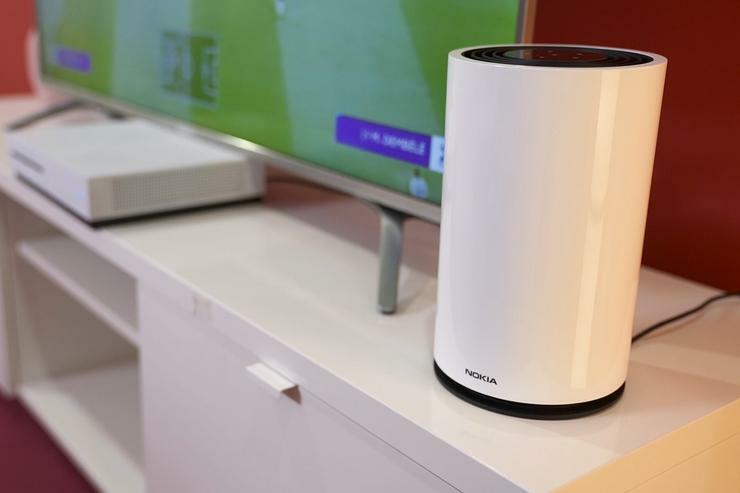 Nokia is supplying both the radio access network equipment for Optus’ 5G network and the Fastmile 5G devices that will be located in customers’ homes. “We will have more 5G sites going live across Adelaide, Brisbane, Canberra, Perth and Sydney over the coming months giving a select group of customers the chance to get their hands on our 5G Home Broadband devices in areas of selected suburbs,” Lew said. The Optus 5G service is being delivered over 60MHz of wireless spectrum. Eventually Optus expects to be able to deliver peak speeds of 1 gigabit per second. The telco last year spent $185 million on spectrum in the 3.6GHz band to support 5G services.